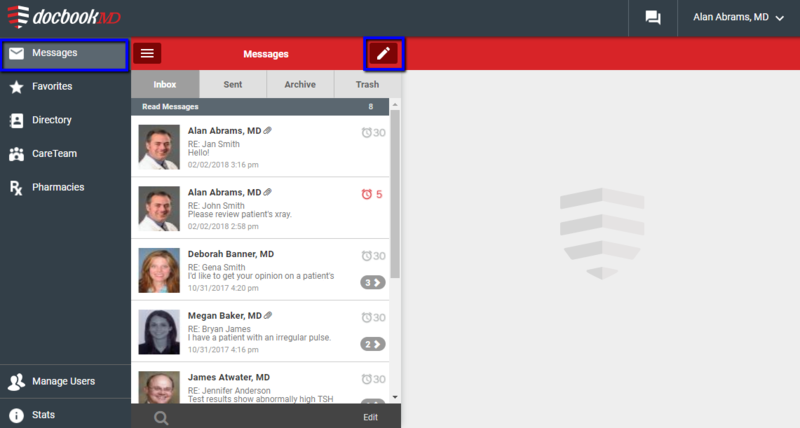 To send a message, open the menu on the left side of your display and visit the Messages tab. Choose the Compose Message icon. You will then be presented with your Contacts. Choose your recipient and fill in message details. *The To and Message fields are the only required fields. 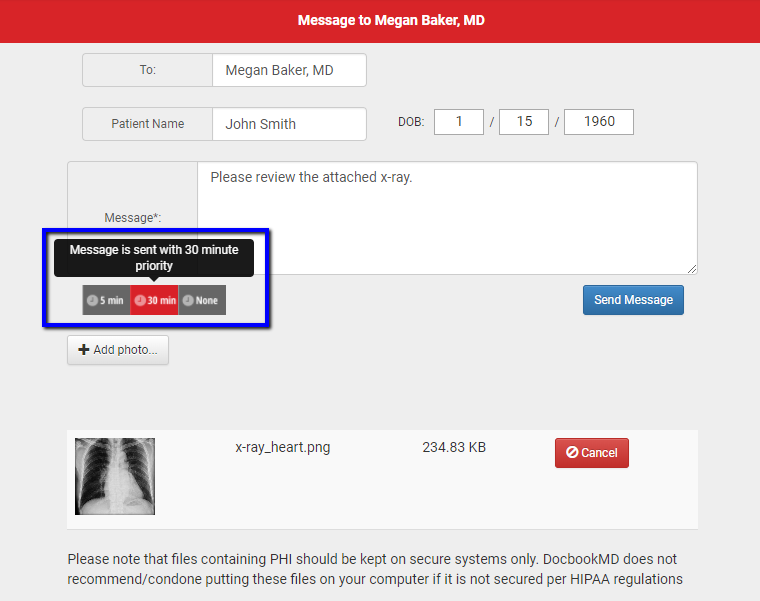 You can assign a message priority, doing this enables you to receive an alert if your message is not opened by the recipient in the specified time frame. Message priority options are 5-minutes, 30-minutes, and None. We’ve set a priority of 30 minutes for this message. Select Add Photo to attach files to your message. When your message is ready, choose Send Message. You may also visit the Directory, choose a recipient, then tap the Compose message icon at the top right and fill in your message details.